Oh the hunt for Chapel Hill townhouses for sale? Find them all in the listings below! There are so many great reasons to call Chapel Hill home, and what better way to start building your roots here than with a simple and affordable townhouse purchase. 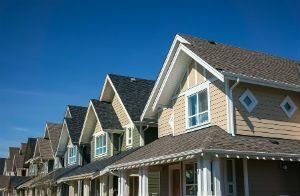 Townhomes are excellent properties for first-time buyers and investors alike, because they're just so livable and easy to rent out. Whether you're a busy UNC student or a young professional, it's easy to pair your on-the-go lifestyle with the convenience and space that a Chapel Hill townhouse has to offer. Start your search in the listings below, or keep reading to learn more about the Chapel Hill townhome real estate market and the many townhouse communities this city has to offer. Chapel Hill townhouses are available in a wide array of styles, prices, and locations, so it's easy to find a great home that matches your budget and unique tastes. Although these spaces typically have a little less square footage than the average detached single-family house, they boast many of the same great qualities, including garages and outdoor entrances. Many of the Chapel Hill townhomes for sale are relatively new and boast contemporary interiors that are bright and stylish. These communities are typically located close to transit hubs and shopping centers too, so you're never too far out of reach from shops and places to eat and relax. To find out more about buying Chapel Hill townhouses, get in touch with the My NC Homes today! Whether you're buying your first home or are thinking about investing in Chapel Hill real estate, send them a message or give them a call at 919.659.5173.